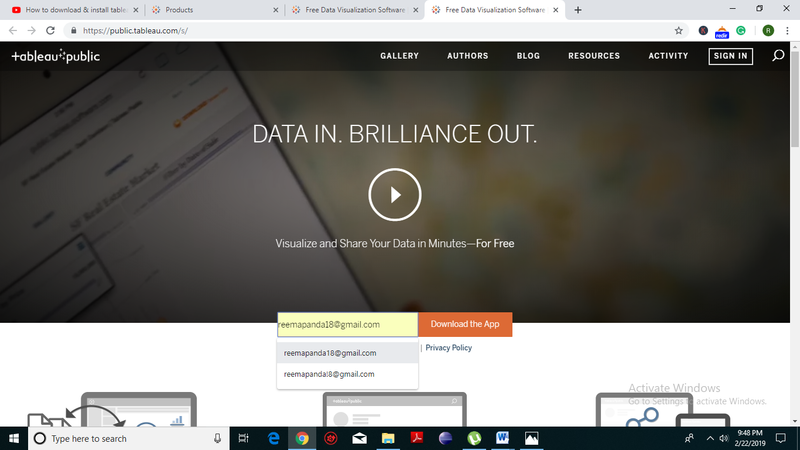 In this section, we will learn how to download and install tableau for free. 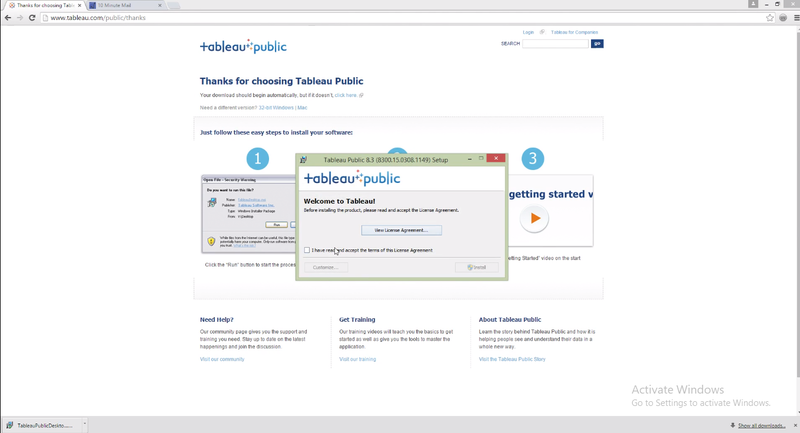 After downloading tableau setup, the installation is a very easy process. 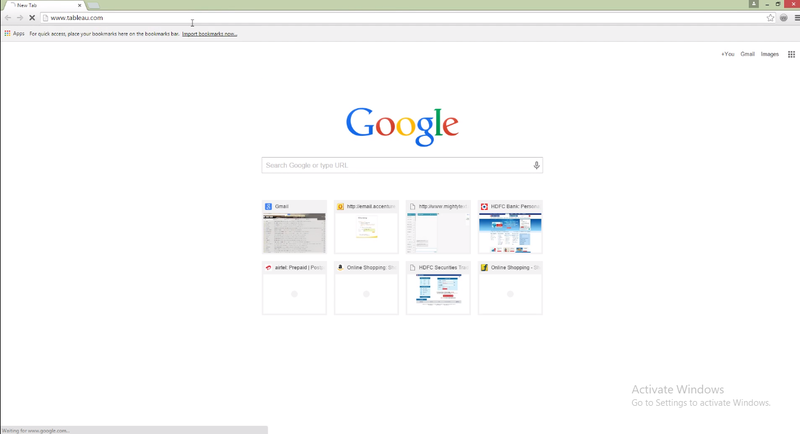 The following steps and screenshots will properly describe the entire setup process step- by- step. Step:2 The following webpage will open. 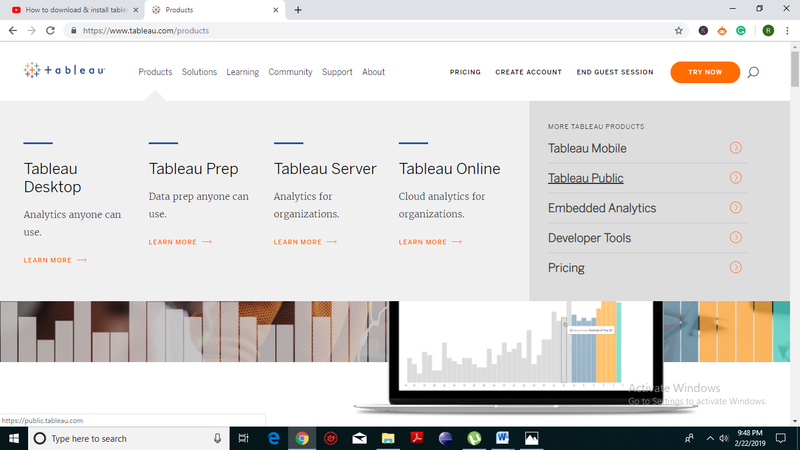 Under Products, click on Tableau public. Step:3 Once we reach this webpage, we need to enter a valid email address and then click on Download Tableau Public. 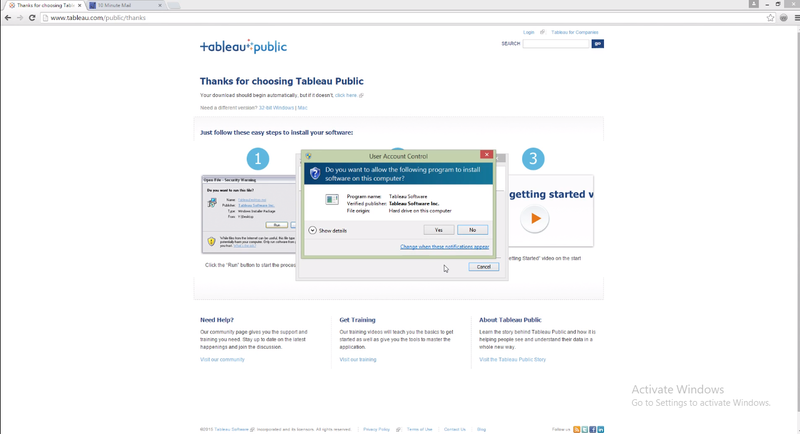 Step:4 The tableau software download will begin automatically. Step:5 As soon as the download is done, we just need to launch the setup. 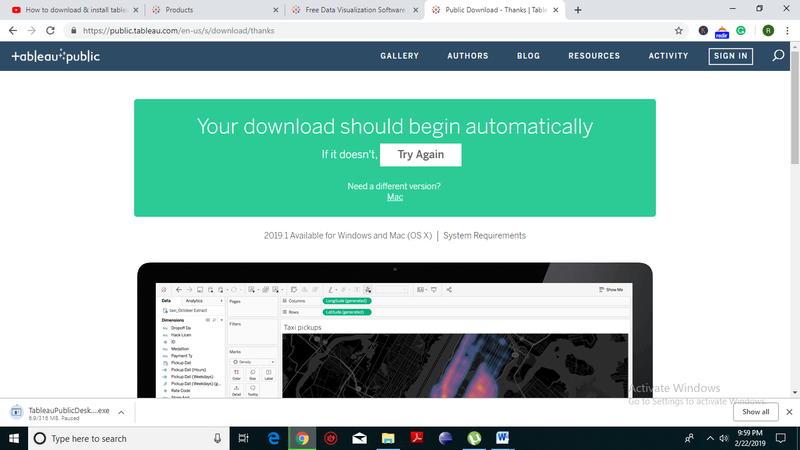 A dialogue box will appear just check the button and click on install. Step:6 It will take some time to get installed. So, give it a few minutes. Step:6 Once the installation is complete, a dialog box will appear seeking for our permission. Go ahead and click on YES.